Here's my clean and simple for the current (for a few more minutes) challenge at CAS(e) this Sketch. 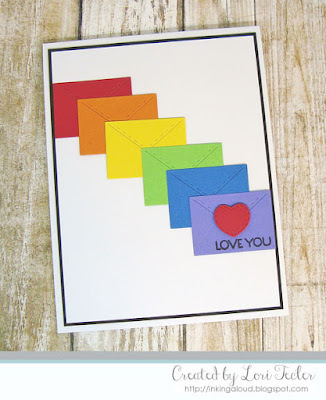 I used cardstock scraps and an envelope die from Lil' Inker Designs to create a rainbow array of envelopes to arrange diagonally across a white panel. 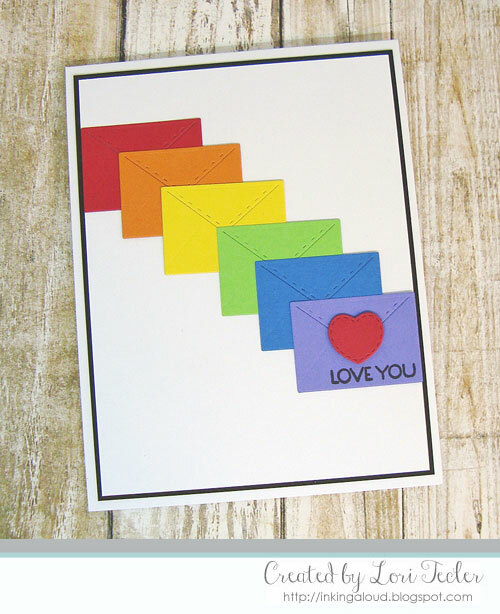 The purple envelope was stamped with the "love you" sentiment from LID's I'll Be Brief stamp set in black ink. I added a red die cut stitched heart to the stamped envelope, using foam tape for dimension. The panel was matted on contrasting black cardstock, then adhered to a white card base.